The SCO is a political, economic and military alliance composed of six member states, including Russia, China, Kazakhstan, Kyrgyzstan, Tajikistan and Uzbekistan. The mechanism for the road map’s implementation will be discussed at the meeting of the SCO Council of Heads of Government in December in China. "The road map on granting full membership in the SCO to India and Pakistan has been developed in accordance with the decisions of the Council of Heads of SCO Member-States made on July 10, 2015 in Ufa," the press service of RATS said. 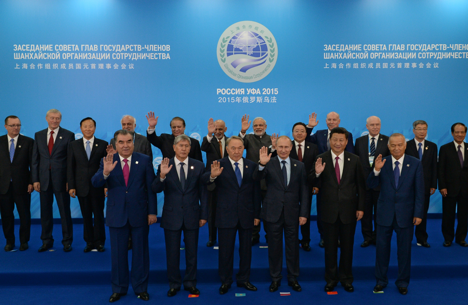 The plan was discussed at the meeting of the SCO’s national coordinators in Beijing last week, it added. It is expected that the mechanism for the road map’s implementation will be discussed at the meeting of the SCO Council of Heads of Government in December in China, the press service told RIA Novosti. At the moment, India and Pakistan, as well as Mongolia, Iran and Afghanistan hold observer status within SCO, while Belarus, Turkey and Sri Lanka are SCO dialogue partners.